For over a decade, Dr. Patricia Gennaro has been creating gorgeous smiles by providing state-of-the-art dentistry, with honest, compassionate, and individualized care. She loves treating patients to an experience that is enjoyable and relaxing, each and every time they walk through the door. She especially enjoys getting to know her patients and their families. Dr. Gennaro is devoted to providing outstanding dental care not only to adults but also to children. She truly enjoys working with children and making their first dental experience one that will allow them to pursue dental care without fear, far into adulthood. Because of her passion for dental health, she frequently volunteers her time at local schools, where she provides dental health education to children that is fun and engaging. 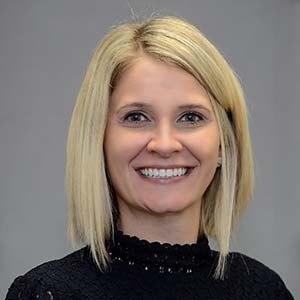 Dr. Gennaro received her undergraduate degree from Benedictine University before continuing her post-graduate education at the University of Illinois at Chicago, College of Dentistry. She continues to advance her knowledge in order to stay abreast of new research and technology by completing numerous hours of continuing education in dentistry each year. She is a member of The American Dental Association (ADA), Illinois Dental Society, and Chicago Dental Society (CDS). On a more personal note, Dr. Gennaro was born in Poland and is fluent in Polish. Currently, she lives in Palos with her husband and two boys, Charlie and Eddie, and their pug, Otis. If she is not at the office creating healthy smiles, you can find her creating memories with her boys, running, reading or traveling.